Rap music originated in the early 1970s, when electronic dance music and hip hop became popular in dance clubs throughout the country. According to EZ Tracks, the rise of the DJ and emcee corresponded with the beginnings of rap music. MCs introduced rappers and DJs, who worked together to create new and original tracks. The term "rapping" was originally a term for conversation, and was passed on to the music genre as it grew in popularity. In rap music, a pre-recorded track, usually composed of electronic instrumentation or drum beats, is played in the background, while the rapper recites the song lyrics. When rappers improvise, they must keep up with the beat in order to sound coherent. 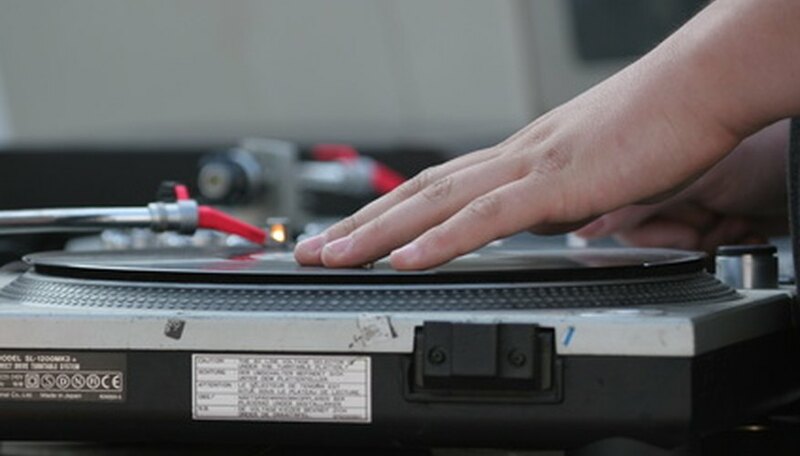 The DJ is responsible for choosing and playing the track, which he may manipulate to complement the rapper's lines. According to an online article at the Yale-New Haven Teachers Institute, the use of a DJ originated in Jamaica, where DJs would call slogans such as "work it" or "move it up" over the pre-recorded track in order to encourage the crowds to dance. Rap songs always have a rhythmic beat, usually in a 4/4 time signature. This steady, strong beat makes rap music popular in dance clubs. The beat is particularly strong on the bass line, which can sometimes dominate the other instrumentation. Although a strong, steady beat is the anchor for a rap song, the true source of originality is the lyrics. Two rap songs can have virtually the same pre-recorded track, but with different lyrical interpretation. Rap lyrics tend to follow a set of themes, such as boasting raps, insult raps, nonsense raps and party raps. Of course, this is not to say that interesting lyrics are the only key to a good rap song. The way a rapper uses the beat to emphasize words and phrases, also known as a rapper's "flow," is what distinguishes a talented rapper from an amateur. What Are the Benefits of Rap Music to Teenagers?